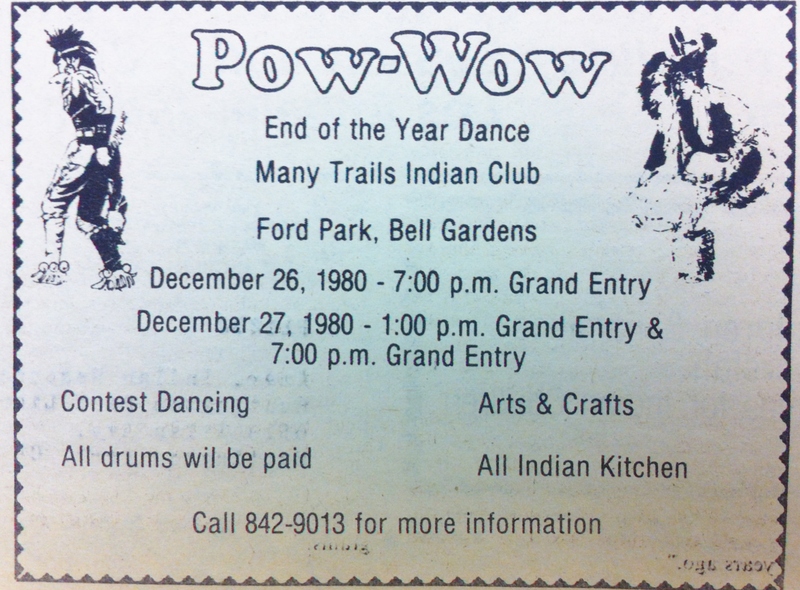 My family has lived in Bell Gardens since 1976, but we never drove past a pow wow at a local park. Gatherings that are sometimes open to the public, sometimes sacred ceremonies; they’re hard to miss. Those big and bright gatherings with dozens of pop up tents in green and blue, people of all ages in adornments ready to dance, singers around a drum for hours on end, folks preparing fry bread tacos and others in line to buy them. But one block from our house is the Indian Revival Church, at the corner of Gage Avenue and Specht Street. I never went inside, though everyone was friendly enough when I passed. I walked next to it a hundred times on my way to the mini market for tortillas and walking to school. Pastor Robert Stewart told me the church was founded in 1956 by Arthur Stoneking and reminded me that many of his parishioners don’t participate in pow wows, of course. The building is located on a busy corner with a tricky crosswalk where cars barrel over the 710 overpass. Click here to read the entire essay.